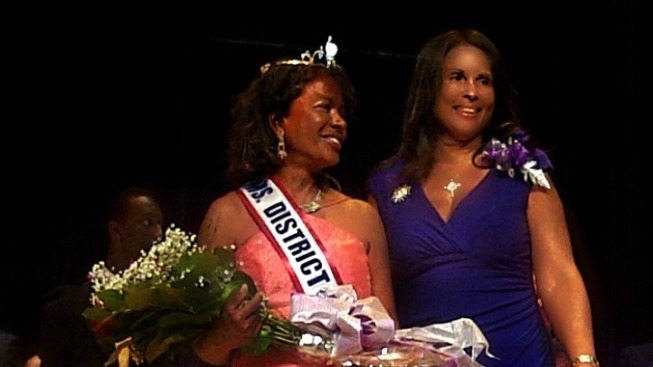 The new Ms. Senior D.C. has been crowned. Ms. Emma P. Ward, born in Coffeeville, Ala., and now a resident of the District of Columbia, earned the title on Sunday in front of 700 people in the UDC auditorium. This pageant is put on by the organization called Family Matters of Greater Washington, formerly known as the Family and Child Services Inc. of DC. This is an organization that helps those throughout life, from taking care of babies through there program called, “Residential Teenage Mothers,” to supporting the aging seniors. The CEO, Tonya Jackson Smallwood tells us this pageant is held to give a better understanding to the public what it means to be a senior. The 10 contestants competed in three categories: philosophy of life, talent and evening gown. Talents mostly hovered around piano pieces and vocals, including this year’s Winner's Choice, a rendition of Michael Jackson’s “Billie Jean” by Ward. After all the rounds were completed, judges gathered to make the final decisions. Diann Ellerbe was this year's Ms. Congeniality, Best Interview went to Julie D. Anderson, and Thomasena C. Allen won for Best Talent. Emma P. Ward shone, though, winning her not only the competition but Best Sales and Best Evening Gown. She said she lives by her philosophy of life every day: “You need to make decisions for yourself, and if not, some else will. If you want to do something, you’ll find a way; if you don’t want to do it, then you’ll find an excuse,” she said. Her Michael Jackson performance was quite the crowd-pleaser as well. Ward said that she's always been a huge fan of Jackson and has always loved to practice his dances, so this was a great opportunity for her to strut her stuff on stage. The MC who announced this part of the competition, a previous Ms. Senior D.C. herself, described Ward as looking like a “Georgia Peach” in her long peach-colored evening gown. Although Ward is already an active member of the community, tutoring children in math and reading as well as accompanying them on field trips, she is excited with her new position and can’t wait to do more. Jackson Smallwood encourages the community to come out and get involved for the greater good.